In this article I will discuss how in games we can alter mechanics and gameplay to make the game engaging and to keep it from becoming predictable. We can do something different to what the player is expecting in order to maintain their interest and grab their attention; you are ‘subverting the player’s expectation’. Subverting expectation is a basic theory of game and screenwriting when we talk about plots and storylines. 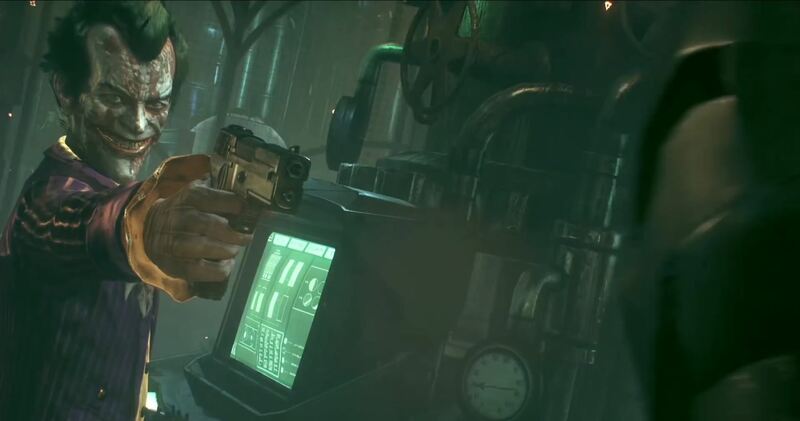 However, for the purposes of this article I will be talking about mixing up established mechanics and gameplay patterns to achieve differences in gameplay and emotional responses, rather than plot twists in the narrative. As games are an interactive medium they have many more opportunities for playing with expectation rather than just relying on cut-scenes or through the plot. I have done many talks and presentations to universities about making levels for AAA games and the design rules we have for creating these. As these were aimed at a student level I only spoke about the established rule set we can use for creating satisfying experiences; I was teaching the foundations. As a designer you need to carefully establish your rules and patterns within your game before you can consider breaking them. If you try and subvert the player’s expectation before they have a full understanding of the game’s mechanics and rule set then you run the risk of the player becoming confused and frustrated by muddying their understanding of these patterns. For example, if you always opened a treasure chest and received some loot, the player understands the pattern of this object’s behaviour and develops a connection to this as a gameplay symbol. However, if early on, say the second time you encounter the treasure chest, it exploded instead, the player wouldn’t know if this was going to happen again, if this was a one off, if 50% of the time this was likely to happen, or even if this was the new pattern for the chest and the first opening was the one off. The smallest pattern you can have is a sequence of 3. For example if you have a numerical sequence that goes 1 then 2 you can’t know for sure if the next number in the sequence is 3 (and thus the pattern is incremental) or if its 4 (and the pattern is therefore doubling the previous number). It’s not until you have the third number that you can understand the pattern. If you want to consider breaking a gameplay pattern then you should not do it until the player has experienced the pattern at least 3 times already. Ideally, you should leave it as long as possible before you change it so that the player has plenty of time to settle in with your rules and becomes complacent that this won’t change. This is because the biggest impacts and compelling changes come, as with twists in a film, when the player is least expecting it. Additionally, when you use subversion of expectation the result must be clear, concise and sudden. If your reveal is unclear or too hard to understand what has happened then this saps all the drama out of it. Similar to a punch line in a joke, if someone has to take a while to figure it out or the joke has to be explained, it’s not funny. If the player has to figure out the subversion then you’ll have lost the impact you were aiming for. 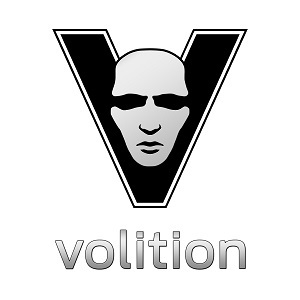 Subverting expectation is not just useful for keeping a game from becoming predictable. It is also useful for making a story beat as impactful as possible, or for selling the emotional feel to the player through gameplay. Two examples I’ll be looking at are the failed boost with a vacant Ellie in ‘The Last of Us’ and the Joker ambush in ‘Batman: Arkham Knight’. 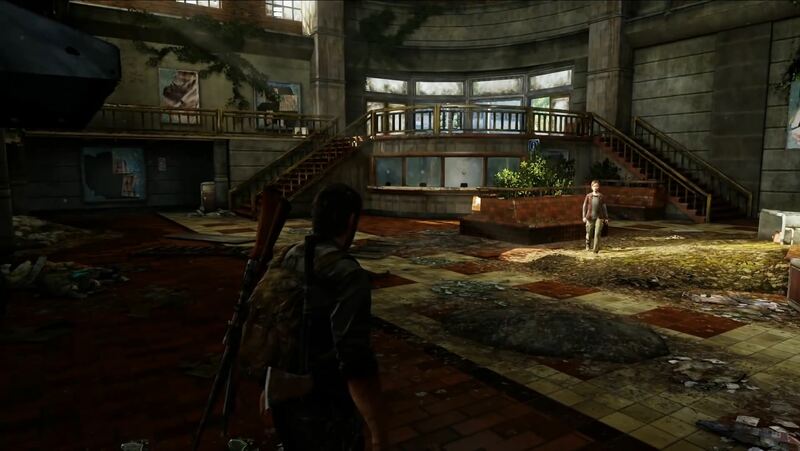 ‘The Last of Us’ has a great example of subverting an established pattern in order to communicate to the player the state of mind of the buddy character. This is an extremely powerful way of communicating the story as the control remains in the player’s hands rather than relying on cut-scenes or dialogue alone. The mechanic that is used is the buddy-boost, where previously in the game the player boosted a buddy character (Ellie or others) up to a location that they cannot get to without help. This blocks progression until the buddy is lifted up to the higher location and then retrieves an object (such as a ladder) that allows the player to advance. At the point in the game when the subversion is introduced, the player has used this boost mechanic many times with the same result. It takes place in the last quarter of the game, so they will have used the mechanic far more than 3 times, which further instils in the player what to expect when using the boost. When the player arrives in the abandoned bus station with Ellie she is very quiet and doesn’t really engage in conversation. Seeming to be distant, she sits down on some seating in the middle of the area. 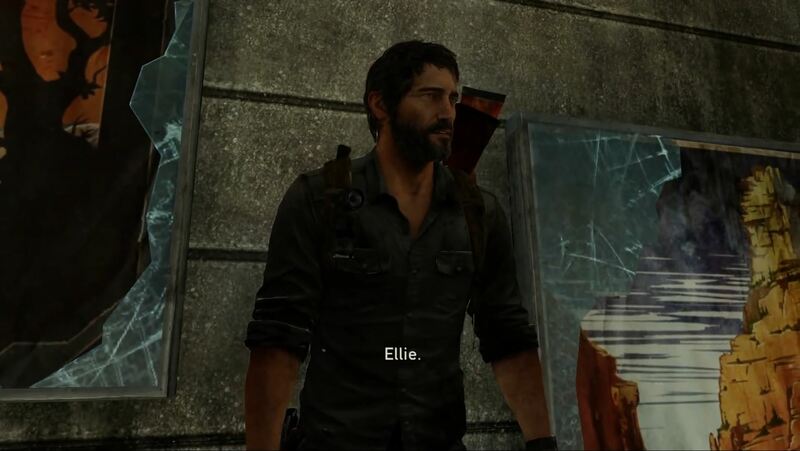 This helps the setup that Ellie has become more distant and jaded since the harrowing events preceding this point (in particular surviving the kidnapping by the cannibal group and killing the leader David), although it doesn’t solidify this point to the player on its own. Crucially, this lack of conversation and her actions don’t foreshadow the subversion that is about to happen, which is important so that the event remains unpredictable in order to have the most impact. The player sees a ladder on a ledge above, which up until now they have always used for progressing to the next area. When they go to interact with it they adopt the standard pose for boosting Ellie up to the level above to grab the ladder. 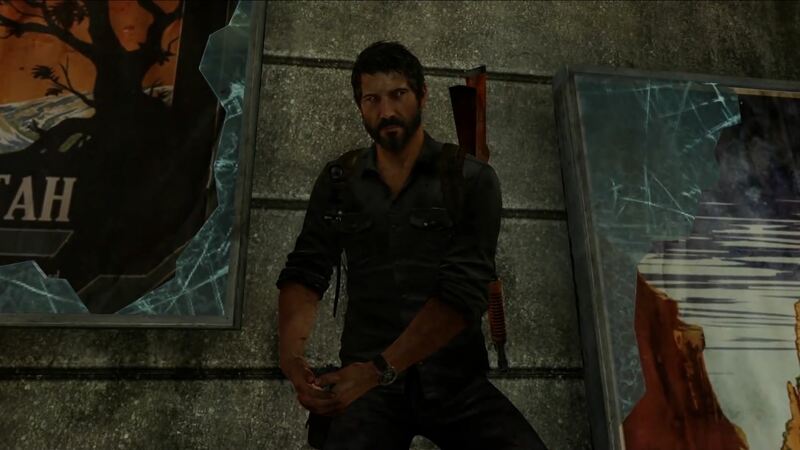 However, the player stays in the position for longer than expected, until the character Joel realises Ellie hasn’t arrived for the boost. 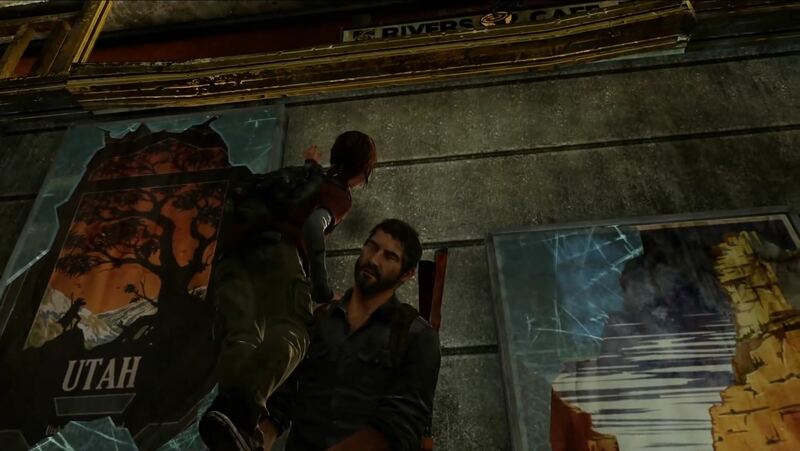 The camera moves round to reveal that Ellie hasn’t heard Joel calling for her and is still sat on the seating in the middle of the room; it’s immediately clear to the player why the boost hasn’t worked. After being called again Ellie wanders over to the player and they get to try the boost again. This time the boost works as it always has done and Ellie retrieves the ladder to pass down to the player. 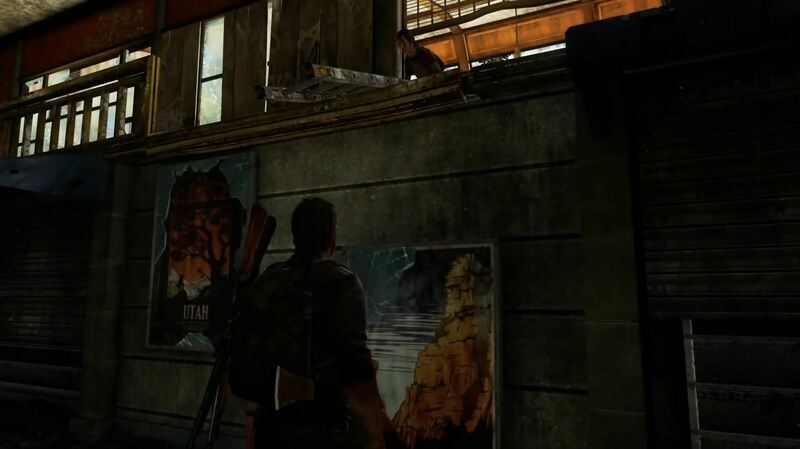 However, here the developer ‘Naughty Dog’ introduces a second subversion to further communicate Ellie’s state of mind. Instead of passing the ladder down to the player as she always has, she gets distracted by something that the player cannot see and drops the ladder to the floor as she runs off. 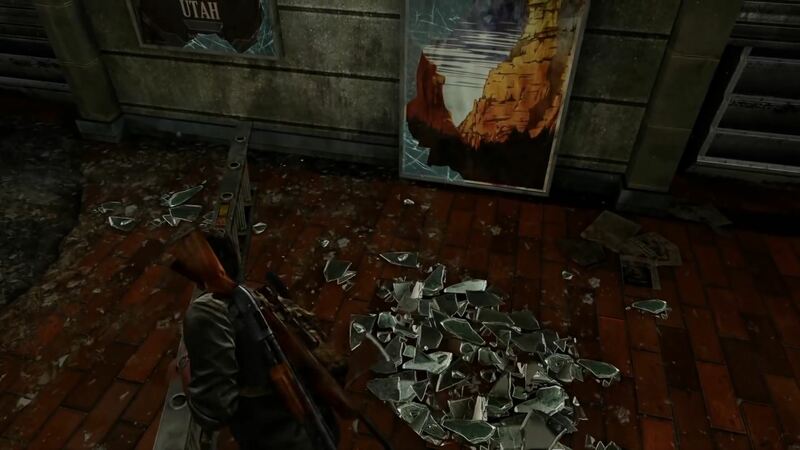 The player therefore has to add in the additional actions of picking up the ladder and placing it against the wall before they can progress to follow Ellie. This extra effort experiments with the player’s tolerance by making them do more actions than are usually necessary. This is fitting with the emotion that is intended; the relationship between a surrogate parent with a distant teenager who is easily distracted. This is far more powerful an experience for the player than simply watching it in a cut-scene or being ‘told the plot’ through dialogue as they get to play out these actions rather than just observing them. Furthermore, the subsequent event is in emotional contrast to the failed boost as the reason for Ellie being distracted and running off was that she had spotted wild giraffes outside. 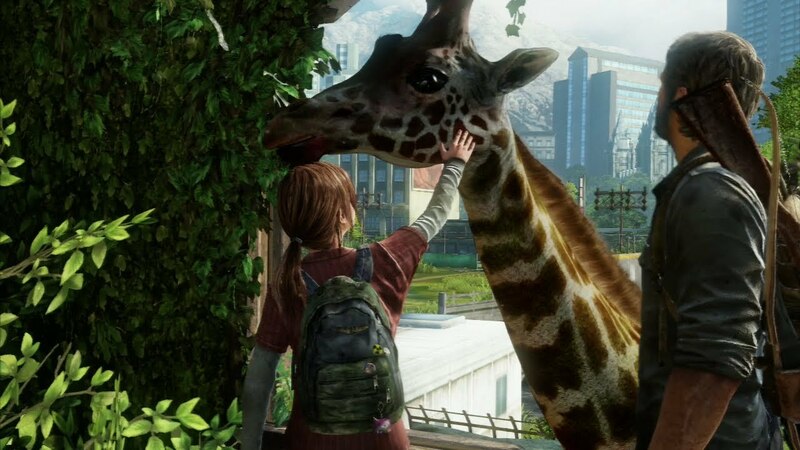 When the player follows her they get to see a giraffe eating and Ellie can pet it; this brings back her joy and excitement as it is the closest thing to a traditional childhood that she ever gets to experience throughout the game. This is in complete contrast to her being distant and quiet as she reflected on her previous experiences surviving the cannibal kidnapping. What’s great about the use of subversion is that the mechanic is not usually used to explicitly tell story beats, however, here it has been used in a creative way to communicate the emotion of the characters which supports the overarching story. The previous example was based on changing established patterns later in the game, but what if you want to use subversion earlier on in your game? For example, in order to make a main story beat that sets the game’s tone as impactful as possible? 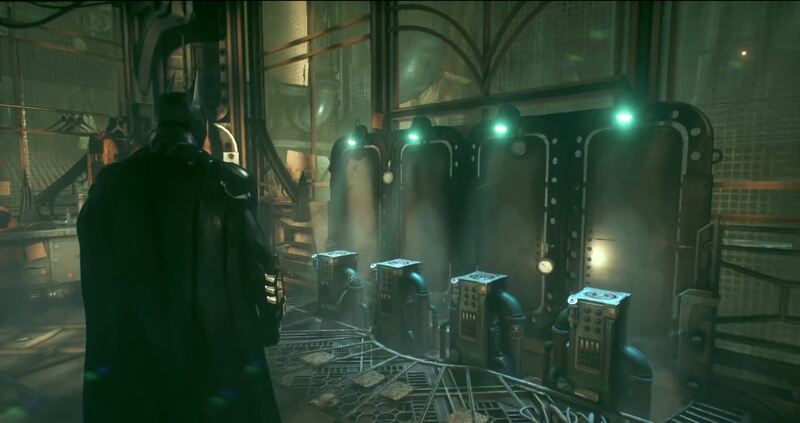 In ‘Batman: Arkham Knight’ they achieve this by setting up a new pattern for a specific set piece using the rule of 3, then after this is established they add a fourth element to the pattern which contains the twist and the story beat. The narrative is that Batman infiltrates ACE chemicals to find the antagonist, Scarecrow. When he finds him, the Scarecrow evades capture and traps Batman inside a small room full of ‘Fear Toxin’. This nerve agent is going to be released into Gotham, affecting thousands of people, so Batman attempts to stop the nerve agent being released by dispensing neutralising agent. This unfortunately means exposing himself to much more dangerous levels of the toxin, which could cause him to be driven insane. The twist comes at the end of this set piece when, instead of managing to dispense all the neutralising agent and stop the toxin’s release, a hallucination of The Joker appears and shoots Batman. 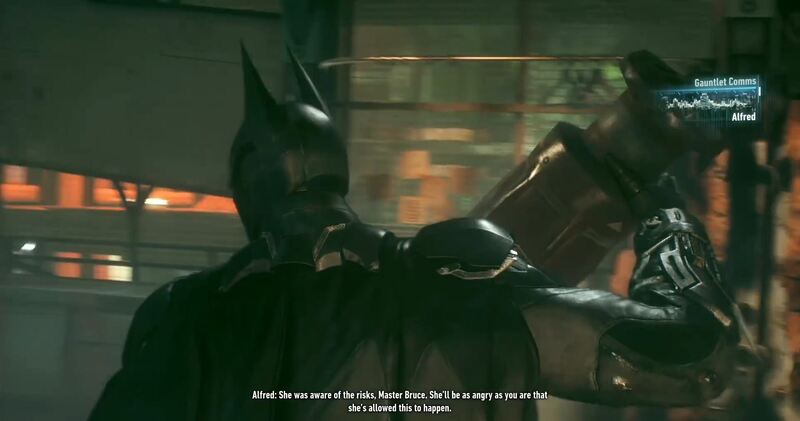 This sets the rest of the game up to imply that Batman has been affected by the ‘Fear Toxin’. The mechanic used in this set piece is only used in this part of the game. There are 4 canisters of neutralising agent which the player has to remove from their housings and place in receptacles on the opposite side of the locked room. When removing the volatile canisters the player cannot move them too fast, otherwise they will explode and the player will die. Once a canister is removed the player must slowly walk across the room whilst maintaining a reduced speed, then insert them into one of the receptacles. Once this is done the player must return to the start and extract the next canister. 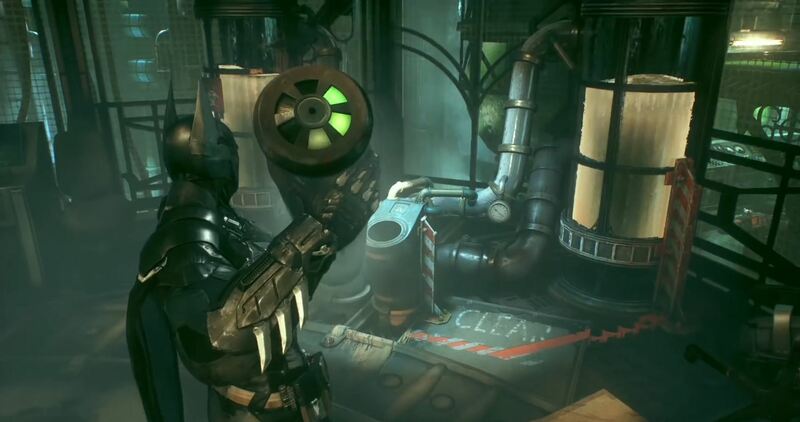 When a canister has been removed there is an animation where Batman turns around and faces away from the housing. Although this doesn’t seem necessary (as the player is usually capable of turning the camera around by themselves) this animation is used for integrating the subversion. Once the player has removed 3 canisters they understand the pattern and assume the next and last canister will follow the same standard. 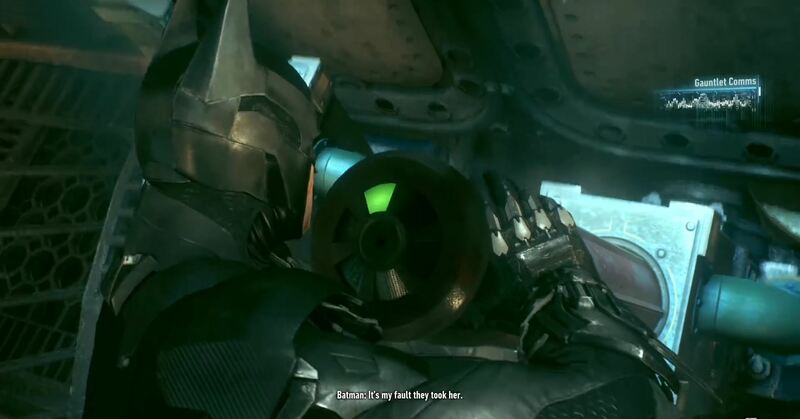 When the player removes the fourth canister the same turning animation is played, however, this time instead of being able to then move again with the canister, a hallucination (although the player doesn’t know this at the time) of The Joker is revealed during the camera’s turn and he shoots Batman in the head, ending the sequence and cutting to black. The mechanic of removing the volatile canisters and then subsequently moving them is slow and brings the pacing down by the reduction in speed. When I played this the duration of the sequence was fairly long due to the restricted movement speed, and as a result I was beginning to lose focus on the task. However, this is cleverly what the developer ‘Rocksteady’ intended on, slowing the pacing down and repeating the same task so that as a player I had become complacent with the mechanic. This allows the subversion of the story beat to have the biggest impact as the moment it happens it’s a big shock, which is in contrast to the preceding pacing; it gives the player a big surprise, leaving the greatest impression. Subversion has to be sudden and obvious to not only be clear and concise to the player, but also to have the most impact. Subverting the player’s expectation has potential for making an impactful story beat or communicating the emotional feel and narrative to the player. Its use makes a game less predictable and more engaging. As developers we must understand that to break the rules and turn the expectation on its head, we must first make sure the player understands the patterns of the mechanics. This is achieved by using the rule of 3 before introducing any twist. 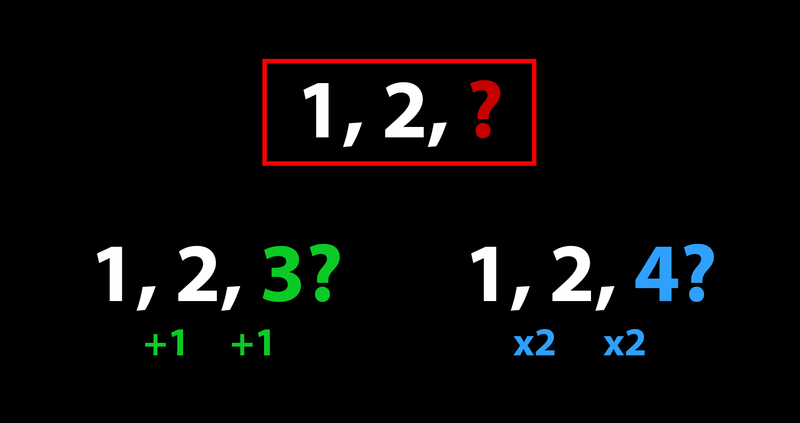 This works for subversion both late in the game using established patterns, but also for twists near the start of the game by including the rule of 3 before a fourth surprise. We must also be mindful that for the biggest surprise to the player, and thus the biggest impact, we shouldn’t foreshadow the subversion as this makes it predictable and removes the potential for drama. At the moment we reveal the subversion we must make sure this is instant. 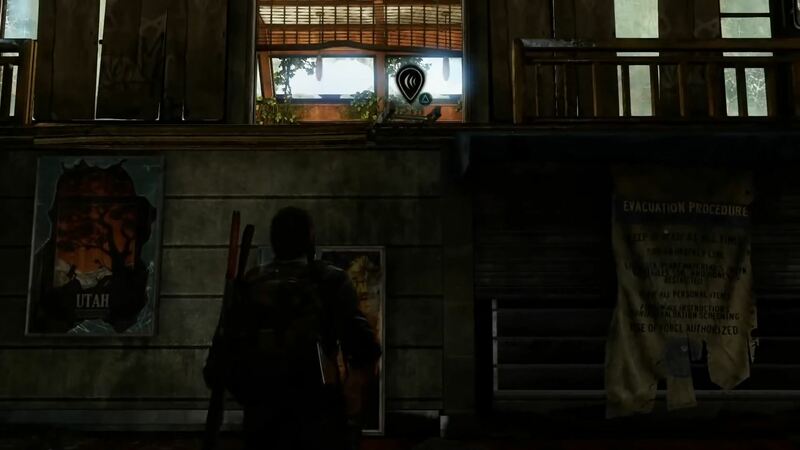 In the examples we’ve looked at the Joker is immediately shown on screen when the camera moves round and in ‘The Last of Us’ the camera pans round straight away to reveal why the boost hasn’t worked; because Ellie hasn’t arrived. Failing to have a sudden reveal removes the drama from the event and can lead to the player being confused. We have seen in the examples used here that mechanics which were not created solely for telling the story can be used in a creative way, complementing traditional story telling methods in a way that no other medium can. As game developers we can leverage their use in places that would benefit from an impactful and memorable moment that the player not only gets to see, but gets to play.